My best friend got married this year. And I can’t even explain how excited I am that I was the one to capture it. The day of the wedding was full of love and excitement. I can say I have not attended a wedding that had more love, and true happiness from EVERY SINGLE PERSON. You could feel the excitement and love. Even looking through the images as I edited, you could feel it again. The kids were beyond adorable. BEYOND. And in one of the most heart touching moments, all five children signed their signature on their mom and dad’s marriage certificate, creating the most beautifully ‘decorated’ certificate we had ever seen. There were tears all day (mostly from Ben), tears of extreme happiness, love and gratitude, especially when people began to discuss what an incredible dad he is (gets him every time!) Thank you Ben & Robin for allowing me to be part of this amazing day; I love you both! Another handsome little babe! Another beautiful sibling that I’m blessed to photograph. I first met mom and dad when they were pregnant with big sister and I photographed their anticipation of becoming parents. 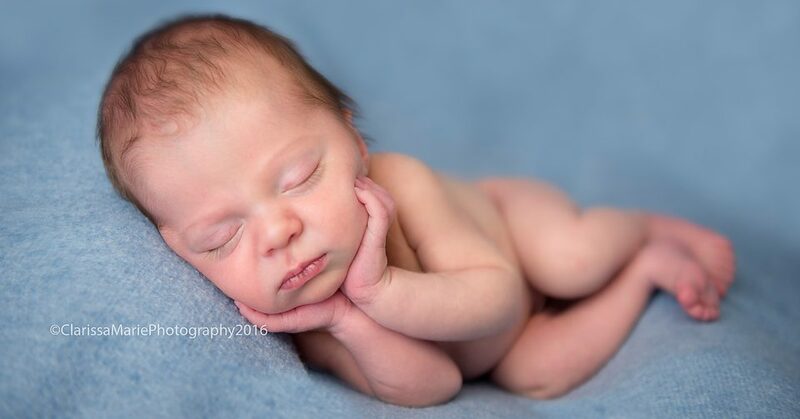 They trusted me enough to capture her newborn and all throughout her life so far, so imagine my excitement when mom contacted me and told me they were expecting again! And then when we found out it would be a little mister for the sister, oooh how exciting! I love that over this journey, I get to become not only a clients photographer, but their friend. One they can turn to when they are worried, or just to talk to. Little Mr gave mom and dad a bit of a scare when it was possible he was going to make his appearance way early and I hope that my words and discussions helped mom just a little bit. Thankfully, he “hung around the womb” a bit longer and arrived after being considered full term! Woo hoo! I’m always amazed at how similar siblings look! I photographed this beauty’s twin big sisters 5 years ago (wow! How does THAT happen!) so once again, I was honoured to be chosen to capture this little one during this sweet fleeting time. And she gave me some of the most amazing smiles! A newborn smile is like the double chocolate cake of the newborn world….we crave it! 😉 And it warms and feeds our souls! And like, come on, how cute are these 2???? Miss H was sleepy and not feeling her best and probably would have been happiest if she could have slept the entire time, inspite of being a toddler and not up to her normal seld, she was so good! Happy 1st Birthday Mr I! So, with this little Mr, it was fitting to do a muscle theme cake smash! (like seriously….see his onsie? “This is All Muscle” haha too cute! And he did what every cake smash photographer hopes for….face first into the cake! Yum!!! Little Mr Z is 6 months! Milk baths. All the rage and so much fun! We put a little citrus twist on the traditional floral milk bath for this little Mr! Let me tell you what I learned; Lime slices do not float. Seriously, who would have thought? (neither do kiwi but that’s not really surprising!) AND this little guy LOVED eating the sour stuff! But like seriously, what’s more adorable than this? I’ve known Katherine for a number of years and have been photographing her children and family on numerous occasions. We both worked in the Veterinary field and share a love of humour and animals. She’s always been a hilarious woman, so when she asked me to photograph her for her 40th birthday, cake smash style, I knew I was in for a treat! Early the next morning I got in the car to go to Hopewell Rocks. It is the location of the highest and lowest tides in the world. There is an approximately 6 hour time span that you can walk the ocean floor and explore. The tides change over 30 feet! It’s incredible. I made sure I timed it to be there at low tide first. I decided to take some self portraits so I found a great place and found a dry rock to put my extra camera gear. I did not anticipate how muddy and wet (come on, blond moment! How could the ocean floor NOT be those things??) and jumping up on this rock proved to be a challenge. Even more so because my batteries in my remote died and I had to use the camera timer to take the photo which meant I had to push the button and run to my spot quickly!!! I set my tripod up and took these images; in a matter of FOUR minutes (seriously, even my data on my images tells me the times). I happen to look over and there is my extra gear COMPLETELY surrounded by water. I would say another minute and it would have been washed away. Of course, I had to take a photo with my phone then quickly hiked up my pants and ran through the water to grab my bag. It was absolutely hilarious and terrifying at the same time! (If you look at my selfies you can actually see the water coming in) I could not get over how quickly the tide came back in. I actually sat on the ocean floor for about an hour. Basking in the sun and journaling. It was incredibly serene, even with hundreds of people around me exploring. I left old Quebec City pretty early in the morning to head to Montmorency Falls as suggested by my lovely horse drawn tour guide! For those who know me, know I am a touch afraid of heights. However, the goal of this trip was to not only rediscover myself, but also challenge myself and try new things. I had created a little Bucket List for this trip, and I was determined to get as close to all of the items checked off as I could! When I got to the falls, it was drizzling and everything was wet. Did that stop me? Heck no! So I started the climb….and the stairs….and the little “look outs” until I got to the top. When I got there, there was a suspension bridge to walk across the falls. Oh. Em. Gee. Normally, I’d have said a big fat “Nope” and went about my way. Not this time! I was determined! I even took some selfies “over the edge” with my phone! Next challenge? Ride the trolly from the top to the bottom! I had to take a deep breath as I stood on it and it swayed in the wind and of course, in my mind it was going to be fast like a roller coaster….obviously it’s not! I walked around a bit more, just guiding myself before leaving Quebec and driving into New Brunswick, my next “destination” was St. Andrews then Moncton for the night! I didn’t want to drive anywhere out East after dark, I was mostly afraid to hit a moose! haha. My drive was spent talking to friends a bit (bluetooth don’t worry!) and listening to music for my soul. Since I was lucky enough to be driving my parents brand new Pacifica (Yes, I do have the most amazing parents ever!) I had satellite radio! Woohoo! So I listened to a mix of current, 90s and 2000s songs. I began to compile a list of “trip defining” songs in my journal. Songs that made me feel empowered, sad, happy….there was such a variety. I was at a crossroads in my life, let the past 9 months break me and define me OR choose what *I* wanted to define me as a person, as a woman. I wanted to go whale watching and was told the best place to do so would be in St Andrews. So that’s where I went. I was early for the trip so I walked around St Andrews for a bit, experiencing the little town and culture. I asked some locals if there were any other places I should visit and Kingsbrae Garden. But first: WHALE WATCHING! We were very lucky that a huge Finback whale (2nd largest in the WORLD) decided to put on a fairly good show for us. He continuously surfaced and circled around the ship for close to an hour, coming up every 45-90 seconds. I was praying for a tail to come up (never happened) but happy I got to see something! We had a delicious lunch on the boat on our way back to shore after over an hour of whale watching. During this time, crew came around with other sea creatures for us to view and touch and hold. I left and headed over to Kingsbrae Gardens next. It was beautiful (but if I’m being honest, not all that exciting for someone who isn’t super big into botanical gardens). The excitement came when I almost literally came nose to nose with a beautiful doe off the path. I think I surprised her too! I got just a couple shots off with the camera before she took off. There were signs all along the path that said “Beware of Fire Ants” if you travelled off the path….let me tell you….they were NOT KIDDING. I walked back to the path and OUCH! Something hurt my foot, I looked down to see my shoes COVERED in fire ants and they were making their way onto my bare skin. Oh my God I must have looked like a crazy person jumping around and kicking at my own feet ! Luckily, it was just the one that bit me and nothing else happened! So for real, read and believe signs like that! I arrived in Moncton in the evening on September 8th. The following day, September 9th would have been my 11 year wedding anniversary. While I wasn’t necessarily sad, of course it was on my mind so I did want to do something else to commemorate the ‘new me’ and my new journey. So, I decided on a semi-whim, to find a reputable piercing place and go get a new piece of jewelry! I felt this would help me redefine what this day meant to me. I had rented a “hotel” in Moncton, one of the only “mainstream” places I stayed during my trip. I arrived at the address and the doors of this “house” were locked. Inside I could see a large family sitting down to eat, they noticed me and let me in. At first I was not sure if I was at the right place, but I was! After hand writing all my information (Including my drivers licence) the little Asian woman says to me “At first I was going to put you upstairs but 2 men staying up there, I put you downstairs with other white lady, you be safer”. I was like um, what? We walked out of the “office” and down the street to another renovated home. They “Hotel” was three homes that had been renovated to rent out the rooms. I was very lucky that I got a room with my own bathroom! (the others had to share a common bathroom). I walked to the corner store (I was assured by so many that Moncton was soooo safe) but I’m not going to lie….it felt a little shady where I was! Especially when a car rolled up in the parking lot as I walked, a girl jumped out of the moving car with grocery bags full of ??? was thrown out with her while the two people were screaming and yelling at each other! I got back to my room and laid down, wrote in my journal bit and off to dreamland I went! What would tomorrow bring? ?